Pocketburgers.com: What Does Your Favorite Muppet Say About You? There's a lot that the world can learn from the Muppets. I've always loved Jim Henson (evidence) and his muppet friends, since I was a child watching Muppet Babies and Muppet Show reruns. But the "messages" of the Muppets was never as clear to me then as it's been since moving to Los Angeles, home of The Jim Henson Company. I have a theory that even if he's not your favorite Muppet, everyone is a little bit Fozzie. Let's look at who Fozzie is as a Muppet. He's a stand-up comedian. But he's also not a very good comedian. Fozzie takes his criticism to heart, but it never stops him from going back on stage and doing it all over again. I've heard it frequently said by comedians that stand up is nothing more than trying to get strangers to like you. This is the world of Fozzie Bear. Fozzie just wants to be liked. Fozzie is a loyal friend, but at the end of the day he can always use more friends. Like I said, I think deep down, we're all a little bit like Fozzie Bear. 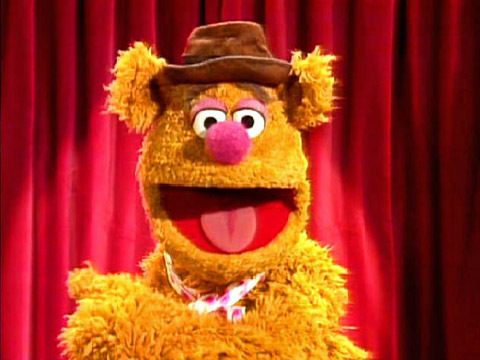 However, if Fozzie Bear is YOUR favorite Muppet, it means you have a great heart, you're compassionate about your friendships and you just want to be loved. The Great Gonzo, much like Fozzie, is a performer who typically fails more than he succeeds. Gonzo is the definition of the misunderstood artist. While none of us will understand the art of "eating a tire" per say, every artist out there understands Gonzo. Fozzie Bear wants to reach the masses and be understood while Gonzo just needs to get his "art" out of him and then be understood. Gonzo is the hipster, the real hipster, not the one that's developed such a social back-lash over the past few years. 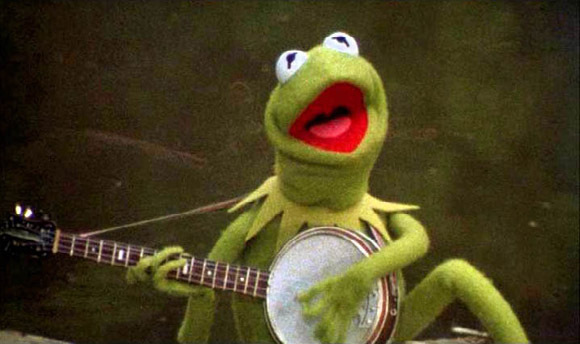 In the Muppet Movie, Gonzo sings the song "I'm Going To Go Back There Someday". The song has become a favorite among the art crowd for its interesting look at life, belonging and friendships. With bizarre lyrics like "There's not a word yet, for old friends who just met" it's easy to see why it's so beloved. Who among us hasn't had a friendship like that, where meeting someone new feels like you've known each other your entire lives. If your favorite Muppet is Gonzo, you are probably an artist in the truest sense. You most likely adore the avant garde and want to be taken seriously for what you do regardless of how outrageous it may seem. Almost everyone I've ever met who loves Rowlf is a musician. So why Rowlf the Dog over say Dr. Teeth or Floyd Pepper? Well, the fact is that Rowlf is the original cool Muppet. 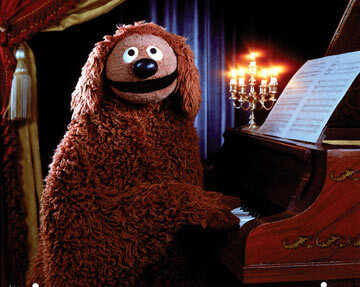 Pre-dating most of the Muppets, Rowlf was a celebrity in the early 60's as the Jazzy pianist pooch. Musicians, while they enjoy the insane "let's crank it up to 11" attitude of Dr. Teeth and the Electric Mayhem, relate to Rowlf the Dog's more laid back style. It's talent, but confident and not in your face talent. People who like Rowlf also tend to be relatively humble people. If Rowlf is your favorite muppet then you are a talented musician, but humble and laid back regardless. You just want to play music, and don't care if it's in a seedy bar or a packed arena, just so long as the songs have got bite. On the other side of the musical spectrum is Animal. Rowlf was a laidback humble musician with talent. Animal is a tornado of sounds. He rocks out and doesn't care if there are a million people listening or one... just as long as it's loud. 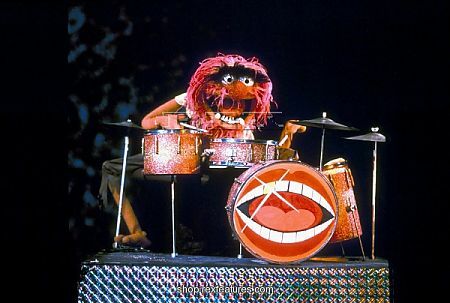 If the most famous member of Dr. Teeth and the Electric Mayhem is your favorite Muppet then you might be a punk rocker. You definitely don't care about how the world sees you, you just care that it does. Every single friend I've had who loves Sam the Eagle have all been Republicans. It's easy to take that statement as me politically bashing someone, but I'm not. If anything it's a compliment. I think Republicans tend to have a decent sense of humor about themselves (although it's the ones that don't who get the most attention). Most people find humor in how over the top Sam the Eagle is. As far as conservative political parody, Sam was the original Stephen Colbert. 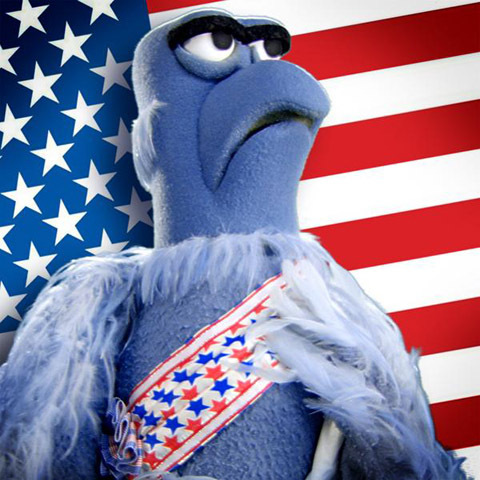 We all want a general level of "decency" and a "return to morals" but Sam the Eagle is legitimately disgusted by almost anything, declaring it "wrong", "un-American" and referring to others as simply "weirdos". Sam the Eagle is that bit of us who aspire to hold ourselves to a higher ideal than the rest, even when it's plain to everyone that we're usually falling a bit short. Statler and Waldorf are probably the most beloved Muppet show characters. Sometimes simply referred to as "the old men in the balcony", they are the ultimate representation of the hecklers and critics in the world. They claim to hate everything about the Muppets but yet show up episode after episode. They are a statement on most of critical culture. I myself find myself bitching about horror movie remakes, yet I see every single one that comes out. If you watch the Muppet Show strictly for Staler and Waldorf's commentary then you need to stop reading this article and go get a job as a critic. But chances are you'd rather just sit on youtube, reddit or any other forum and throw insults at anyone that opens their mouth for even a second. 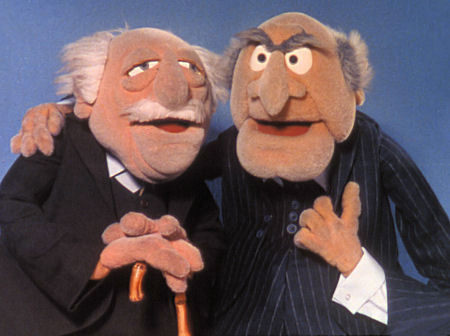 There's a good chance Jonathan London's favorite Muppets are these two. 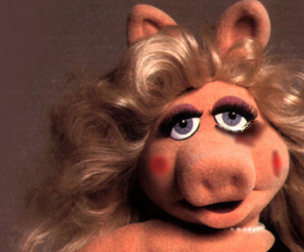 Miss Piggy is the Diva of the Muppets. She's Elizabeth Taylor, Divine, Madonna and Lady Gaga all rolled in one. Every element of her life is based around Glamor or at least portraying the idea of glamor. I tend to find a lot of Actresses love Miss Piggy. This makes sense. While Piggy loves the spotlight, she's also a driven person. She has her goals in mind, whether it's being the star of the show or simply married to her Kermie. If anything gets in her way she transforms into a ball of karate chopping rage. While Piggy always needs to make an entrance, she also needs to find her Kermie. If you adore Piggy over all other muppets then you are a driven person, but you're still a bit of a Diva. You get what you want by any means necessary and when you enter a room, everybody knows it. Specifically if the room you're entering is the kitchen. If you're a fan of Scooter, there's a good chance you were in stage crew in high school. Perhaps now you work as a PA or a camera man and love it. Scooter is a behind the scenes guy and loves every second. Scooter doesn't want to be in the spotlight but he does like being involved. Scooter's like being part of the group, but never the leader. If Scooter is the muppet for you, then you dig being behind the scenes. You want to be part of the production, but definitely not the star of the show. You also may have a sister that you haven't heard from in decades. And here he is, the most recognized character of all the Muppets: Kermit T Frog, the host of the Muppet Show and the leader of this whole crazy gang. Kermit represents the most sane person in an insane world. He's never "completely" sane, but he's still got it together enough to manage the group. People who love Kermit typically are the "event planners". They're the writers and directors. They tend to be the glue that holds groups of friends together. Every circle of friends I think tends to have all of these characteristics. The comedian, the artist, the moral one, the diva, the relaxed person, the critic and the leaders, it's even possible for one person to be multiple. Depending on who I'm hanging out with, I can be Kermit or Fozzie or Gonzo or even Statler and Waldorf. Anyone who's read my blog for the last month knows that while I'm having fun living in Los Angeles, I want to eventually move back to Pennsylvania. I've got a dream too. But it's about singing and dancing and making people happy. That's the kind of dream that gets better the more people you share it with. And, well, I've found a whole bunch of friends who have the same dream. And, well, it kind of makes us like a family. Back home, I have a family waiting for me. They're waiting to sing and dance and make people happy together. I can't wait to sing and dance with them again. It's not success that's important, it's who you've got to share it with. So who is my favorite Muppet? I do want to be loved like Fozzie, but aren't we all a little bit of Fozzie? 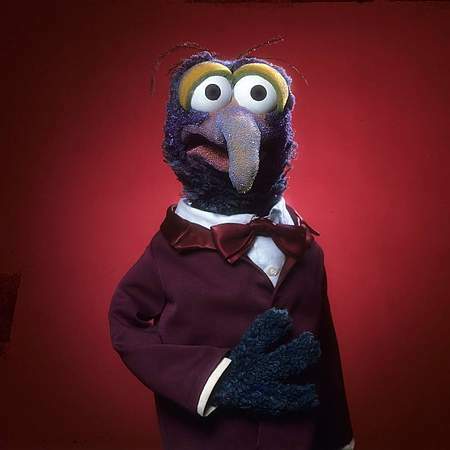 There are times where I feel misunderstood like Gonzo, but again, who doesn't? For me, I don't think it's shocking that my favorite Muppet is Kermit. And although it's not always easy being green, at least I've got a cast of characters I can call my own. * - This blog entry, while I stand behind what it says about your favorite Muppet please remember it’s also written by a comedian (to use the term VERY loosely). Please don’t leave comments about how I was wrong with your favorite Muppet. It’s comedy, for god’s sake.